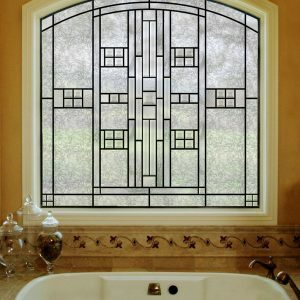 Bathroom stained glass can add an element of privacy to your bathroom while still allowing you to retain the benefits of bright, natural light. 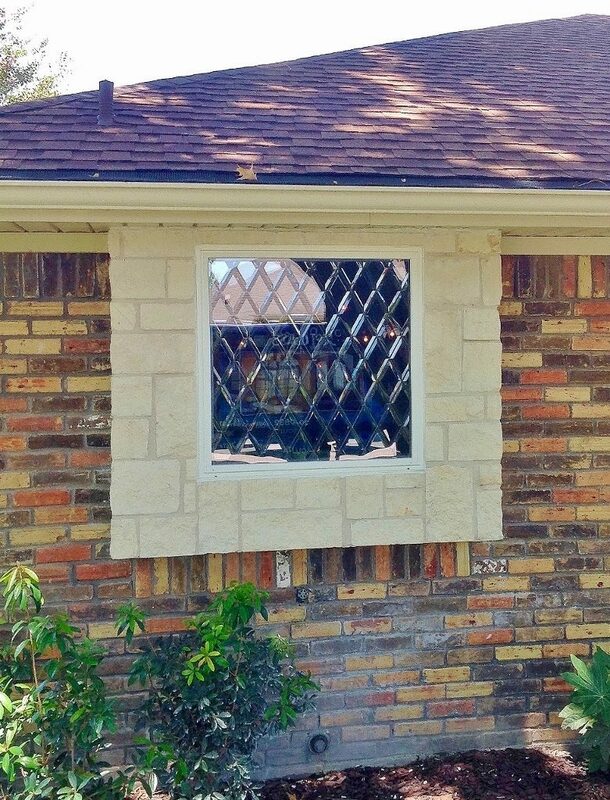 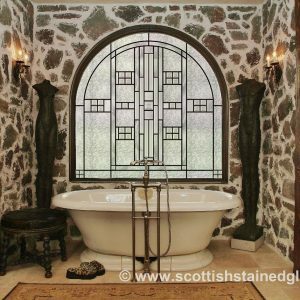 At Scottish Stained Glass we custom design each window to fit your specific needs. 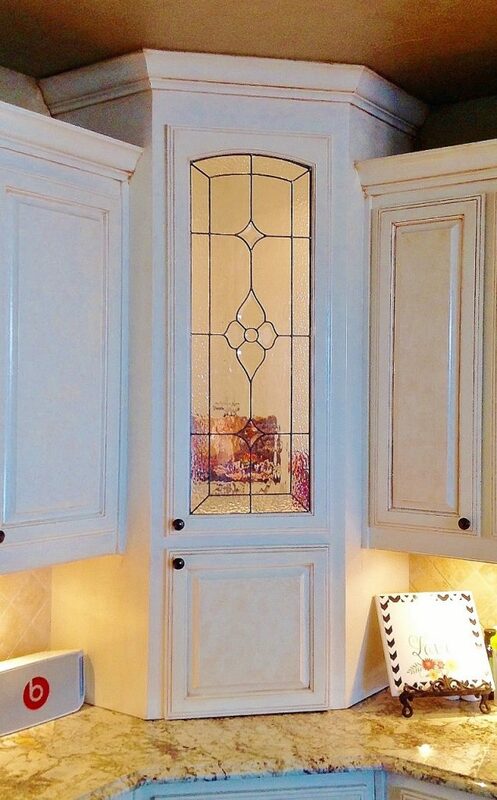 By doing this we are able to give you a much more elegant solution when compared to pre-constructed pieces. 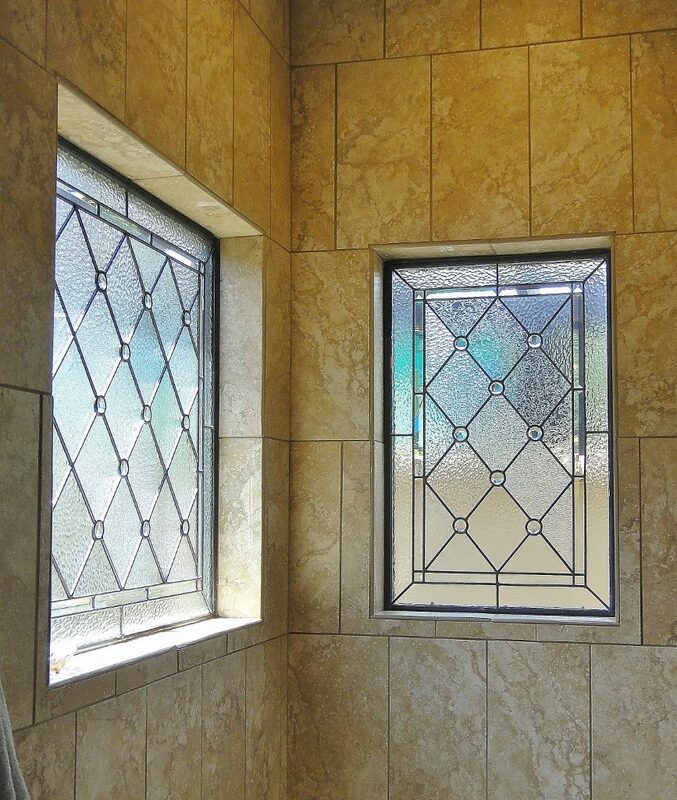 See the detail in this leaded stained glass which allows radient sunlight to enter the bathroom without sacrificing privacy. 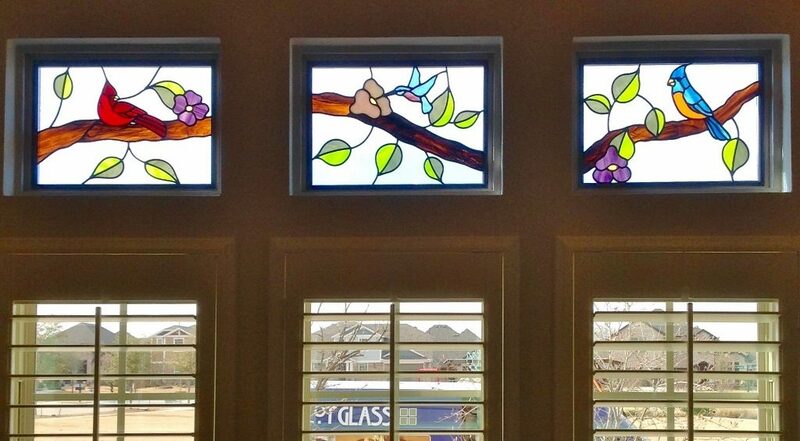 Beveled and leaded stained glass allows us to build beautiful details that compliment the specific elements of each room. 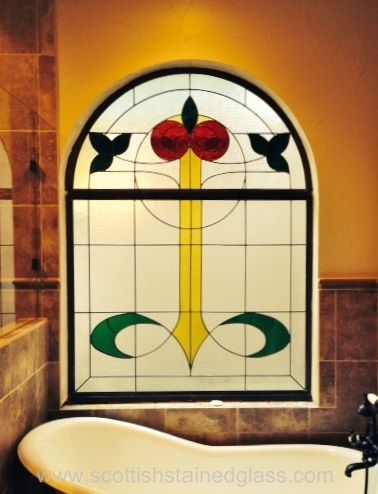 Whether you have a large master bathroom or a small bathroom that needs a beautiful finishing touch, contact us today to get an idea of how our custom stained glass might be able to beautify your home.